My Expectation: I like murder mysteries, had been an ardent fan of Sherlock Holmes from childhood :) I also like Ashwin Sanghi's novels, which are thrillers with a mix of mythology. Haven't read any novels of James Petterson, but knew that he is an expert in thrillers. After reading the blurb at the backside of the book, i was expecting an on the edge thriller. 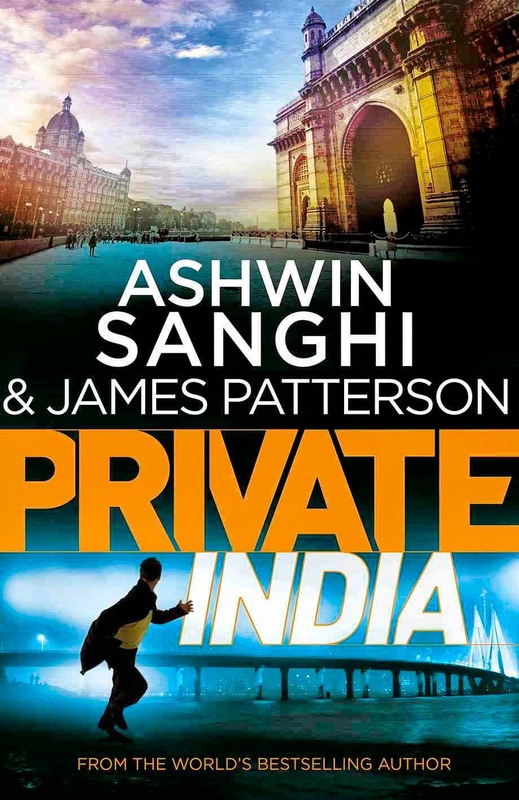 Story: A series of murders come into light in Mumbai and a private detective agency 'Private India' with intelligent staff takes up the case. All victims are women and murderer leaves clues by placing some objects near the victim. It is very clear that murderer enjoys the art of killing. He takes care by not leaving any prints/ clues to trace him back although he leaves a strand of hair at every victim. Can 'Private India' team tackle the problem and stop the murders at right time? This forms the remaining story. Guys.. what is new in this story? we have heard of many stories of pschyo killers with series of murders and detectives finding clues to atlast find him to stop in the last murder. Sometimes, eventhough story is not interesting, the way it is written might impress to read you the book. I see a lot of confusion in the book, with many characters being simply added as masala mix. A connection to the murders with ISI, Indian mujahuddin, Nimboo baba, match fixing and drug dealer Munna, an Attorney General etc. doesn't seem very relavant. Yes, story becomes interesting in the middle, but i lost interest at the end and i was waiting for the story to end soon. There are many things which i felt were unnecessary and illogical. 1. How Indian government can give a case like this (series of murders) to a private agency even though the agency is very famous and capable. Since Private India cannot deduce much until 6th murder and cannot stop the massacre till 8th one, at least Government would have included CBI logically. What say? 2. I don't understand the importance of a few characters like Munna and Nimboo baba. Good to read about some realistic characters, but how good it is when they are not directly relevant to the story or doesn't contribute much. 3. Epilogue and last few pages are very boring. 4. Too many cooks spoiled the broth. You heard the saying right? It is a disappointment for Ashwin Sanghi's fans, as they expect some mythology touch and something new to learn. Readers of James Patterson might feel better as it is a thriller, but the plot might not impress them. I wouldn't recommend this to die hard thriller fans. Good for a time pass read in a train / bus journey. Forgot to tell you! the big font is a savior for eyes. No stress in reading 450+ pages, hope other publishers also concentrate on font too along with story line. In case, you want to purchase book from flipkart at Rs.193, here is the link.